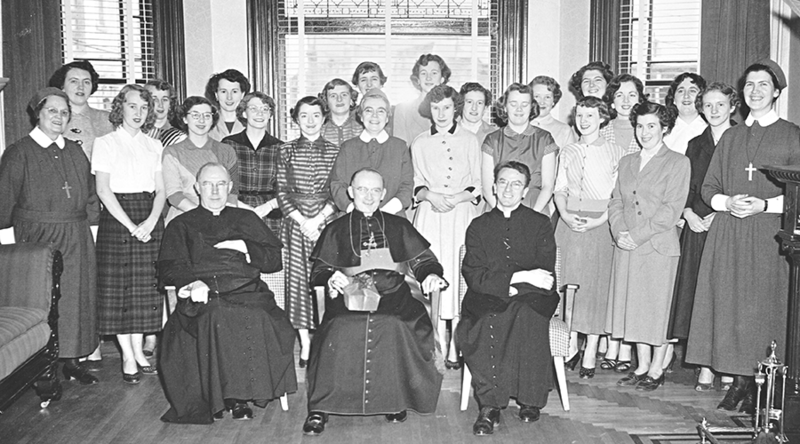 At the request of Archbishop Patrick Skinner of St. John’s and the support of Father George Daly, two Sisters arrived in September 1953 to open the last of the institute’s seven women’s residences in Canada. 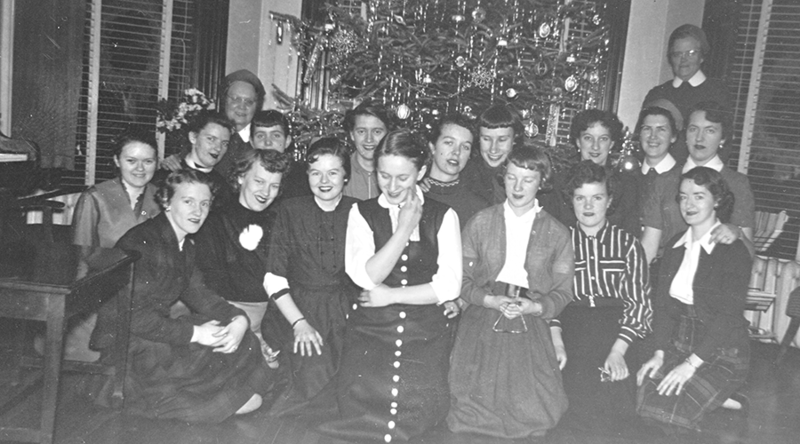 In the view of St. John the Baptist Basilica, the residence at 7 Garrison Hill opened a month later and accommodated up to 20 women. 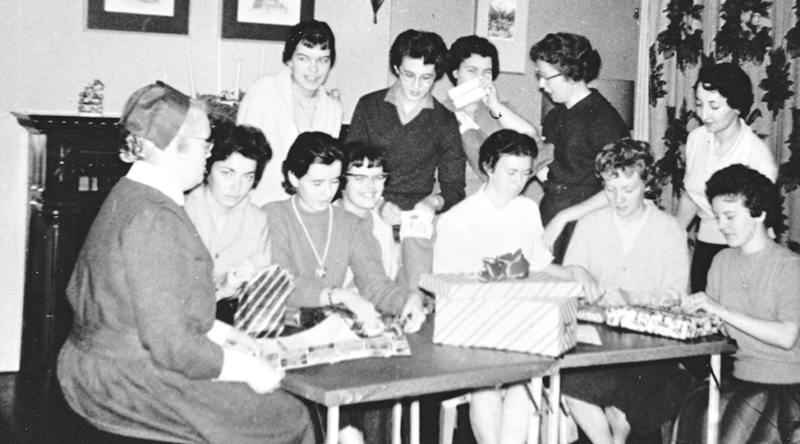 The Sisters provided a home-like, faith-based atmosphere with social events, study and craft clubs. 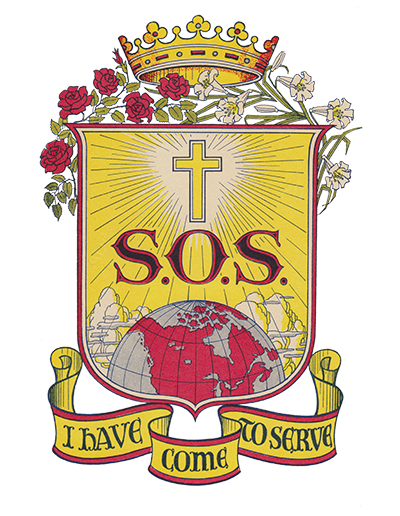 An auxiliary association organized fundraising for much-needed items for the residence. 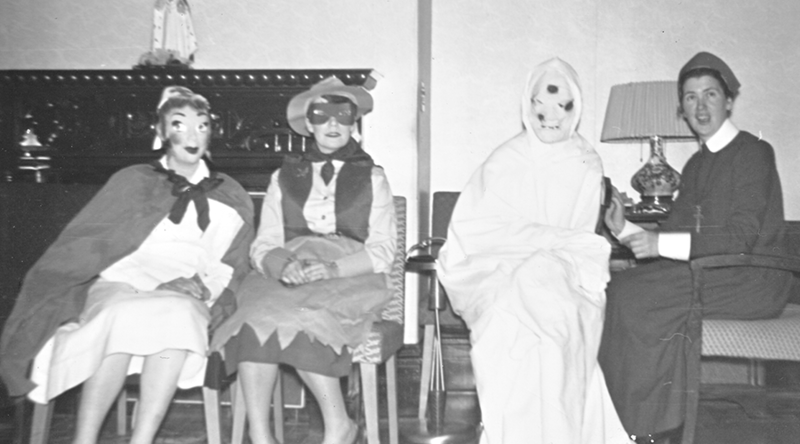 While living at the residence, Sister Joan Coffey taught at St. John Bosco, the first alternative school in St. John’s. The residence was sold in July 1973 to a relative of the Parker family from whom the Sisters had purchased it 20 years earlier. 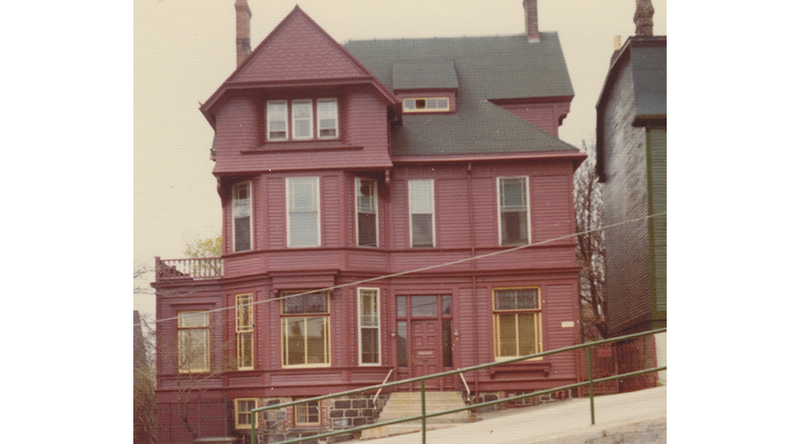 In 1973, the Sisters moved into an apartment on the first floor of a large home on 23 Rennie’s Mill Road in the Cathedral parish. Sisters Adua Zampese and Barbara Kowalski taught in schools five kilometres apart (Goulds and Petty Harbour) about 50 kilometres outside St. John’s. 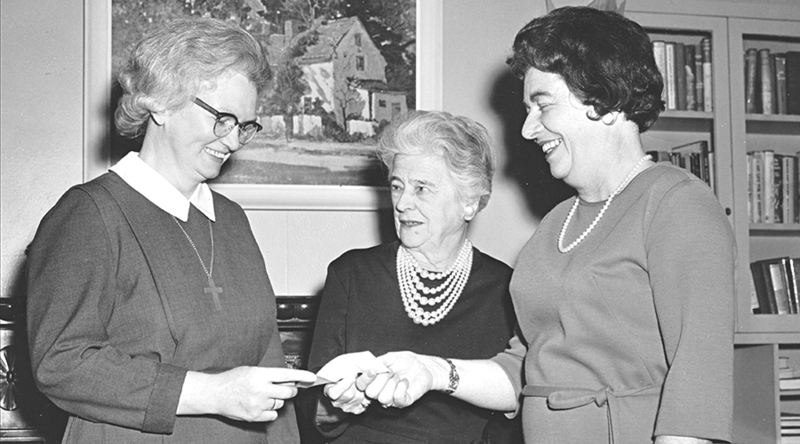 Sister Kowalski moved to a school in St. John’s when Sister Zampese moved to St. Julien’s. The mission closed in 1979.